The British Gardener - The Tropical years: Becoming a Mulchologist! I use compost--yes it doesn't last as long, but in all other respects it's been better. Is it just me, or is that stuff dyed red appalling? I agree about the red dyed mulch, its just so glaring on the eye. I've also hear of over colors being used but so far it hasn't made it into the market place. So much for shredded mulch helping to retain moisture if it only repels it later. I've heard mixing a few drops of dish detergent in a watering can will combat the potting soil dryness. It basically acts as a surfactant, but maybe it will work on mulch?? Lots of helpful information here. We do use wood mulch in some spots, but not the dyed kind. I like the smell of cedar mulch. Thanks for the reminder to break it up in the spring. Cedar mulch is really nice and used a lot by people concerned about bugs. I've considered using a smaller pine bark chip in the front of the house for appearance and going leaf/grass clipping in the back. The chips don't pack down and so shouldn't be a problem. Compost is the way to go! I have come across two publications recently from the US that are of interest, one is a collection of 25 articles from the magazine 'Fine Gardening' under the title of HEALTHY SOIL and the other is 'Our friend the eathworm' by Dr George Sheffield Oliver first published in 1941. The description of his Grandfathers farm in northern Ohio is worth the book on its own. One of last years gardening trends that some marketing company came out with was about consumers buying products that improve the health of the soil. So far I haven't seen that prediction come true but it is full circle back to what we used to do. I believe, but I could be wrong, the earthworm here in America was introduced from Europe as its own were believed to of died out during the last ice age. I've heard a customer talk about buying night-crawlers from fish bait stores and letting them go around his garden, just to get the soil tilled. Not very often do you hear of an introduced species that's of benefit. This is a really interesting post. 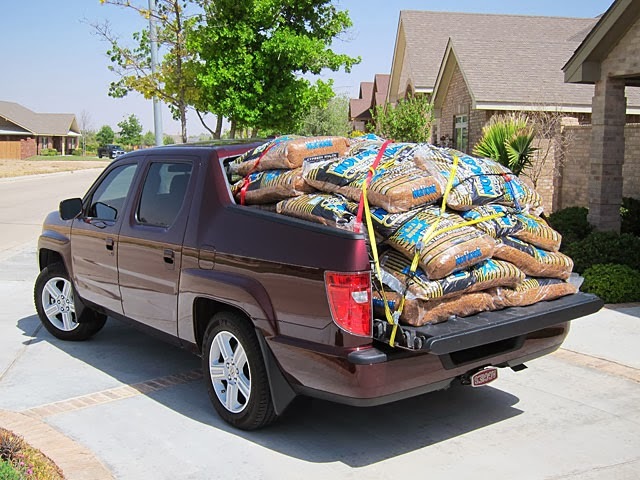 I've done quite a bit of research on mulch myself - everything from pine straw and shredded wood to bark mulches, compost and more exotic mulches like pecan shells or cocoa hulls. It's a vast and bewildering mulch universe out there, I tell you! 2. They are durable. Unless washed or blown away, they'll last for years, so you don't need to reapply annually. Compost does make a good mulch, I think, but it won't suppress weeds at all and if you're in an area with high winds and/or heavy rain, a lot of it tends to wash or blow away, I think. So what's the real, ultimate, long-term answer? I think it's more plants! Of course groundcover plants have their own challenges (many of the most popular ones are awfully aggressive or even invasive), but I've been trialing a variety of groundcovers and have a few promising candidates that could replace much, if not all, mulch in my yard. 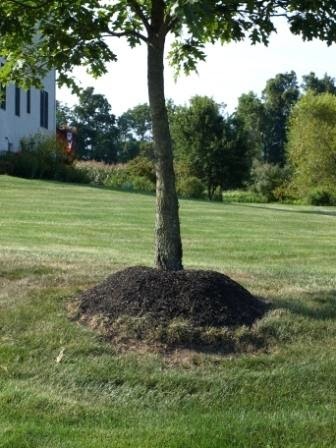 Since the plants I'm talking about are perennials or subshrubs, ideally they'll come back every year, eliminating the cost (financial and environmental) and time associated with the Annual Mulch Spreading. What are some of the most promising groundcover mulch-substitutes thus far? For sun - Lamb's Ear (Helene von Stein variety) is probably the top candidate right now. For partial shade - various cranesbill geraniums and possibly Creeping Raspberry (Rubus calycinoides). For heavier shade, I'm thinking epimediums and ferns. Of course, these are only the options that work for me in my particular rather harsh setting (zone 6/7, lots of heavy mostly unamended clay soil, windy hilltop site, drought-prone summers). For those in cooler or more tropical zones, different groundcovers would probably rise to the top of the heap -- and there are new ones I plan to trial in 2014 and beyond -- but I still think that most landscapes could benefit from replacing most of their mulch with groundcovers of one form or another. So many options and so many problems. At the end of the day you need to go with what you like the most and adapt your practice's to meet the need of the material. I'll still use pine chips in high profile areas for the aesthetic's but will use compost in the back 40's so that I can recycle as much as possible. Maybe I'm becoming more aware of the carbon footprint but what growing in my garden should go into my garden. Thanks for taking the time to comment. 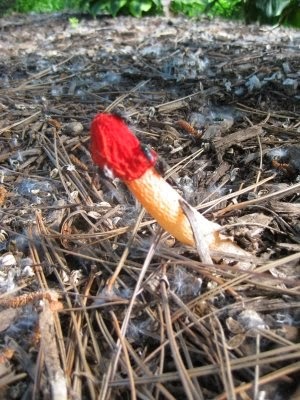 I just read part of this article and people must know about the dangrs of colored mulch. 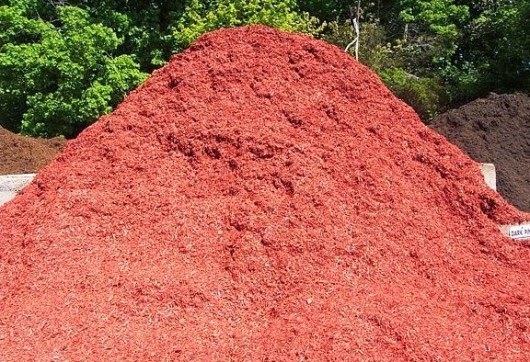 I had a landscaper[Randys landscaping,Somers WI] buy the lot next to me and what happened is he raised his lot 12 inches and pitched all at me and he has two mountains of colored mulch within 50 feet of my well of which one is red colored and the closest. What is happening here is he constant flooding me I have 10 feet of collapsed foundation of my home and a well that has 17 different heavy metals in it not to mention a wrecked front yard. This guy was warned by me before he altered his lot and was told I have a well there, he did it anyway. This has been going on for 7 years and cannot use my water anymore, I've been living here for 22 years and it was only then when this landscaper moved in that the problems began. I've been getting my water from our farm for the past year from a 300 foot well. The only way we found out my well was polluted was two things happened first I was feeling ill for around the past couple years and couldnt pin point it and it was opnly when in july of 2013 I quit drinking the water and my symptoms of arsenic poisoning and fibro myalgia symptoms went away. second was a test done at the state of Wisconsin hygene lab in Madison WI did a terst on the color in my drinking water and it came back with 17 different heavy metals in it and was told not to drink or use the water it is unsafe. this guy has been letting his runoff from his lot go onto my well for 7 years and the Town of Somers Wi, Kenosha county officals. Peter Barca, Samantha Kerkman, Jim Kreuser, The D.N.R. a kenosha county envirnmental manager and ETC dont do anything, what does it take, somebody to get deathly sick or get cancer and die from this crap befors they do anything because that is my fear now is getting cancer from this runoff that has this colored mulch junk so plesae tell people to be very aware of this toxic junk. hello Rob... I am Denys... having a look at your blog at St Maarten's airport ! That would really be great to spend some time in the woods and that is so good . I have finally found the article that is related to my search. 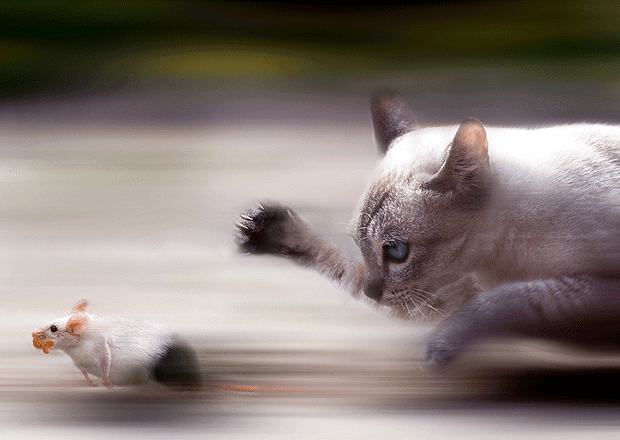 Thanks a lot for the contributed report, I like the way you composed it! What a fantastic entry! Moreover, the entire blog is a tremendous online library. Without a doubt, you're a wonderful blogger! I'm eagerly waiting for the next upcoming post!